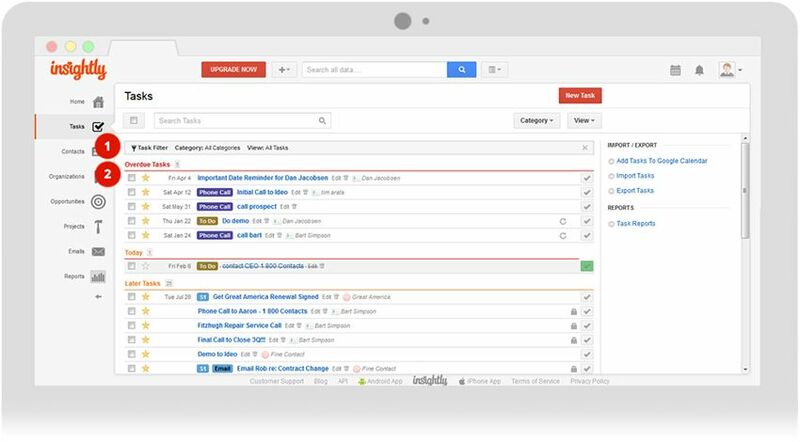 Insightly is a powerful customer relationship and project management software that allows users to (1) categorize tasks by email, follow up, phone call, user and status; and (2) track all tasks by due date. 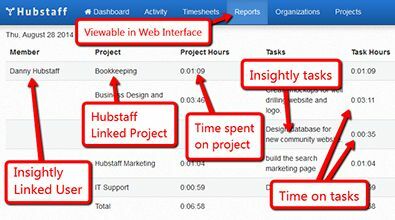 With Hubstaff‘s Insightly time tracking integration, Insightly users can also record and track time to specific tasks directly from their desktops using seamless Hubstaff apps designed for Mac, Windows and Linux. 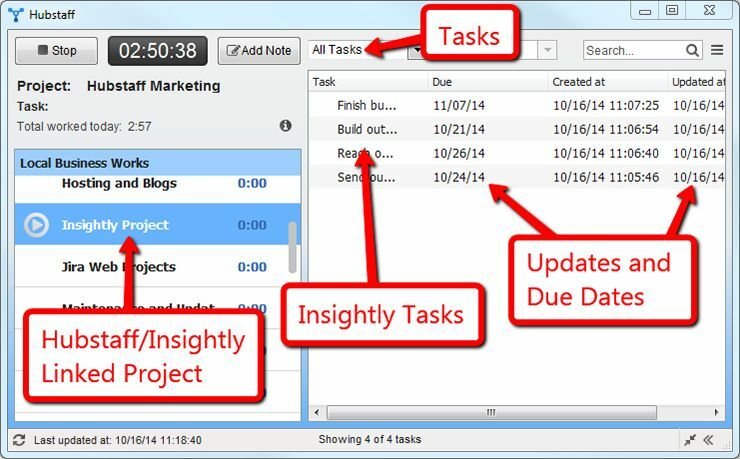 Track time to different Insightly tasks from lightweight, natively designed desktop apps. View screenshots of what your team is working on while they record time to Hubstaff. Access automatically generated reports showing how your team works. See which team members are the most productive and active. Seamlessly sync Hubstaff and Insightly tasks, just add a task on Insightly and it’ll appear on Hubstaff. 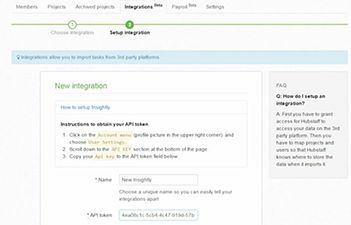 Click here for a step-by-step guide on how to integrate Hubstaff and Insightly. Each of Hubstaff’s desktop applications were developed natively on different platforms. That means the Windows app was developed on Windows, iOS was developed on iOS, and Linux was developed on Linux. This was done in order to minimize compatibility issues and improve the user experience. After integrating Hubstaff and Insightly, your team will see their assigned Insightly tasks in their Hubstaff apps, along with updates and due dates. After integrating with a few easy clicks, Insightly time tracking gets even easier with automatic syncing. Link each user between Insightly and Hubstaff. Allow users to view and track time to tasks. View activity levels and reports. Hubstaff’s lightweight app won’t disturb employees as it tracks time in the background, but it will take random screenshots so you can see exactly what your team members are working on while they’re tracking time to Insightly tasks. 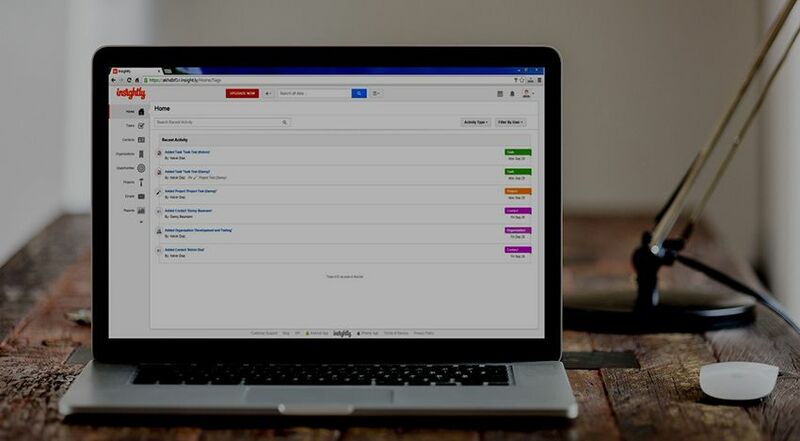 Viewed to see what your employees are working on at any given day. Frequency-modified by selecting whether you want to take 1, 2 or 3 screenshots every 10 minutes. You can also turn the screenshot option off. Used to show clients exactly what services they are paying your team for. The Hubstaff app allows your team to automatically track time to Insightly tasks (they can also add time manually with a note explaining why). 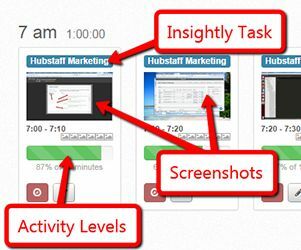 Hubstaff takes this data, along with activity levels, screenshots, and other information to provide automatic reports. How are Hubstaff reports useful? These reports show all team data in one place. Reports show how much time is spent on different tasks. You can filter reports by project, user or dates. You can export and email them directly to invoice clients. You can analyze reports to find out where your team is spending the most time. Download reports for easy record-keeping. View how much an employee or contractor has worked in real time. Pay employees and contractors from your Hubstaff account. Integrate with Paypal in a few easy clicks. Set pay rates for each member of your team. 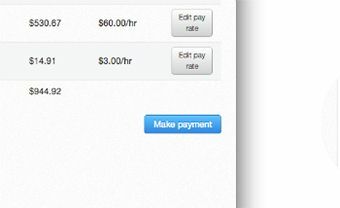 Send payments automatically, based on how much employees work. Send payments manually with a few clicks. Easily pay your teams frequently by automating payments. Find out how to set up Automatic Payments and Payroll.